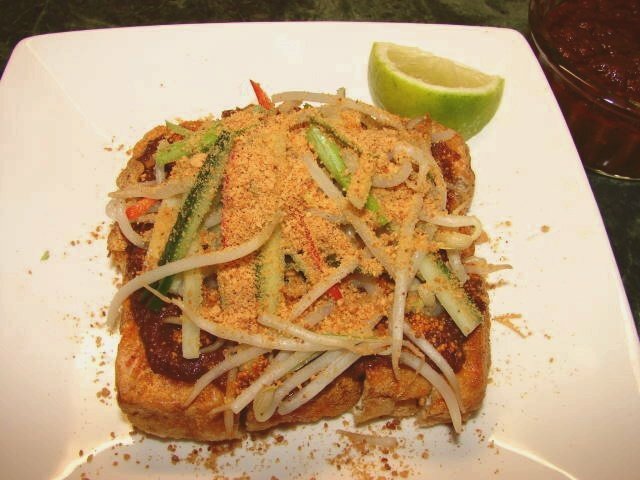 Tahu Goreng – Malay style fried tofu with spicy peanut sauce. Put ingredients for sauce together in a large bowl and mix well. Brown tahu in a pan with oil, cut into cubes. Put on a plate together with slices of cucumber and some bean sprouts. Pour sauce over fried tahu. last time this dish was made on the spot during order which is frsh. but now almost every stall serving is pre-made and not fresh..